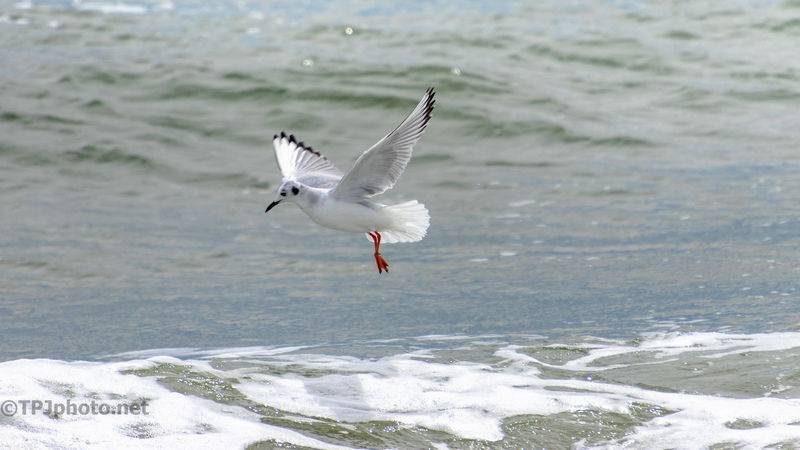 I don’t remember ever shooting a Bonaparte’s Gull. I had to research them to even get an ID. The time of year made it even more difficult since they have not changed to summer plumage. 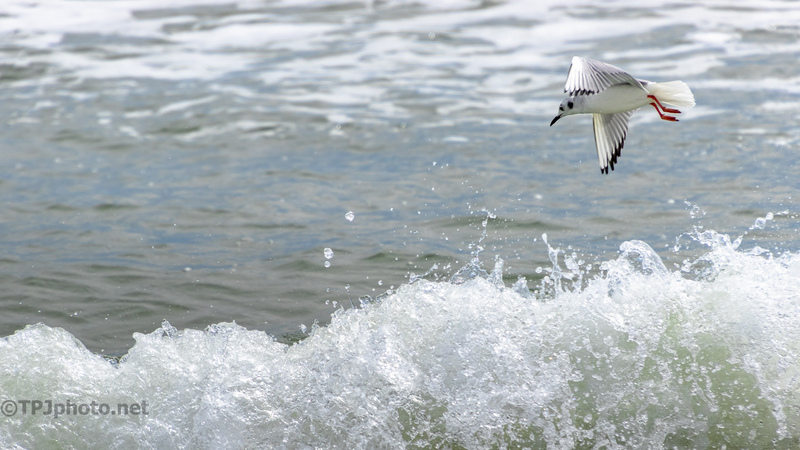 Most Gulls fish either by walking along the surf line, or diving from above out past the waves. Makes sense because they have a clear sight of things. This bird works the hardest place there is. Right where the waves break. At times they hover above. 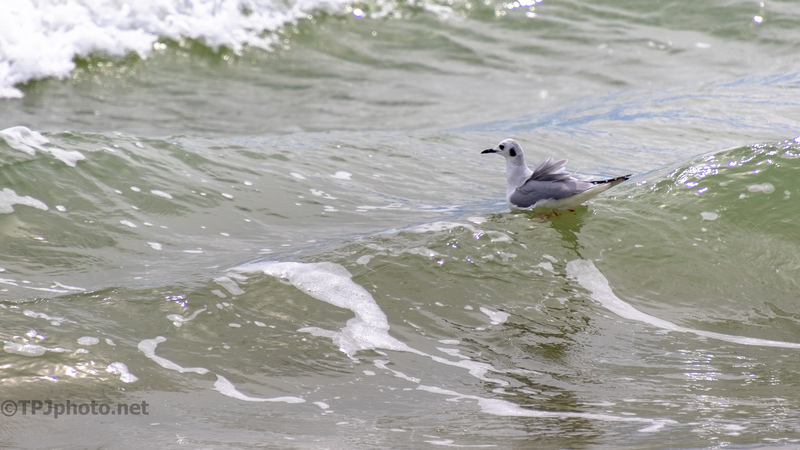 But they also sit and float along with the breaking waves. I have no idea where they can get any food inside waves, but they must. These Gulls are a nice size to photograph. A mid sized bird so a little easier to catch. However it’s tricky to focus on them. 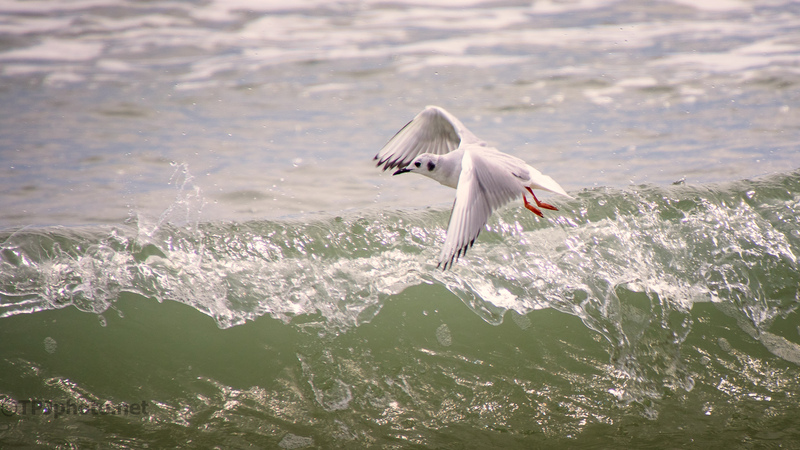 You need to keep the bird directly in your single focus point or all you get is a blurry bird and sharp water. Nicely done in a tricky environment! Thanks. That morning I had small, medium, and large. Glad I started with big Gulls as a warm up, these are the medium. Small Terns have not been finished, not sure how many of them are any good.